T.C. 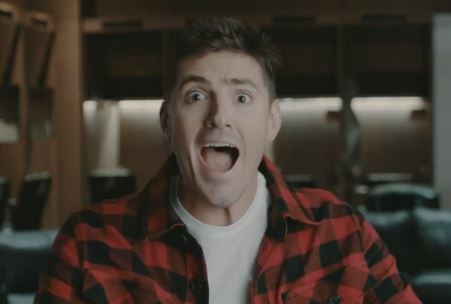 from the Minnesota Twins does some last-minute decorating in what was probably a last-minute “oh my god, I thought you were going to do the video this year” melt down from someone’s cubicle on Friday at 5. But, kudos for knowing that a mascot will always cover up for your mistakes. 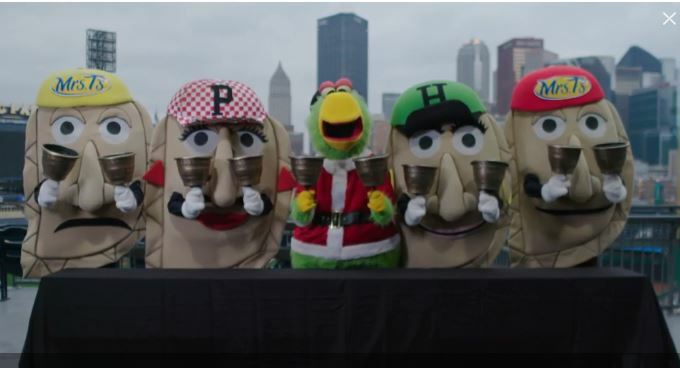 Orbit from the Houston Astros AND the Phanatic from the Philadelphia Phillies do similar plays off Santa’s “Naughty and Nice” list. 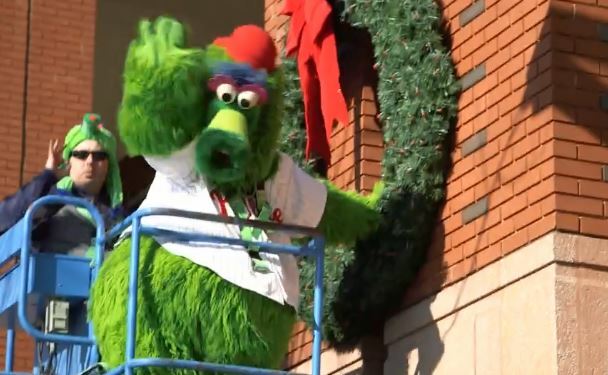 The Phanatic gets the win over Orbit this year, with the help of some players, as he works to get himself off Santa’s Naughty list. Smile When You Thank Your Fans And Wish Them Happy Holidays. Asking players to wish fans a happy holiday is always fraught with peril. 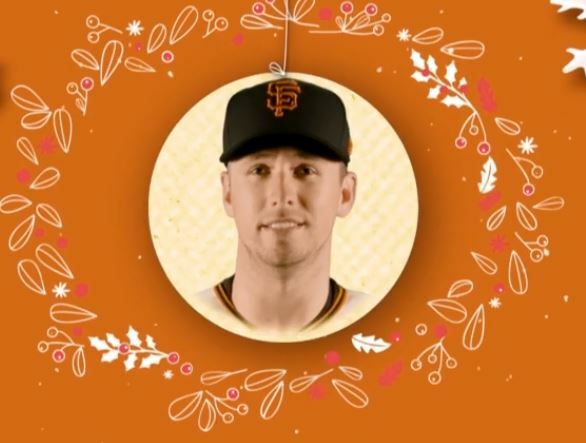 The San Francisco Giants had Buster Posey and manager Bruce Bochey do it in an amazingly uninspired, sad, and sort of blurry animation thing. It’s the perfect we-just-don’t-care-anymore video. Hey, look! It’s the Cincinnati Reds. And, they wished us Merry Christmas, Feliz Navidad, Happy Hanukkah, and Happy Kwanzaa, too. And, then there are the New York Yankees. Their video is so generic it makes winning look miserable. 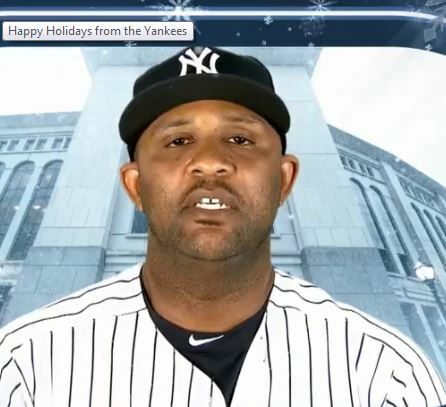 And, no one’s more miserable than the Yankees who are here to wish you Happy Holidays in the saddest, most hang-dog way possible. I believe the Yankees are the saddest people in the world. If all you can come up with is stringing together a handful of 2018 highlights, do it properly. 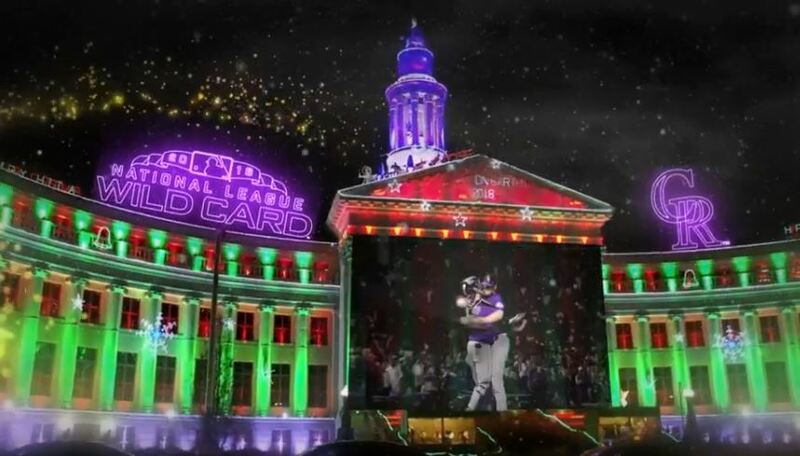 Superimposing their highlights over Denver area landmarks all decked out for the holidays. 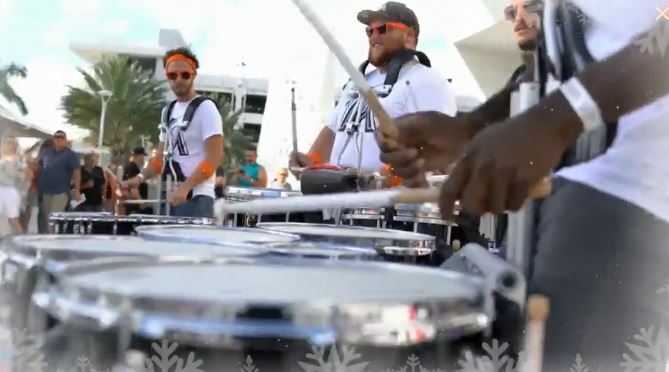 The Miami Marlins make baseball in Miami look fun (and that’s no mean feat). I’m giving credit to the Detroit Tigers … it’s a generic highlight reel, but it makes them look a whole lot better than they actually were. And, that’s the magic of the holidays! Plus, “Bringing You Summer Since 1901,” may be one of the best taglines ever. The Seattle Mariners and Toronto Blue Jays do the highlight thing, too. 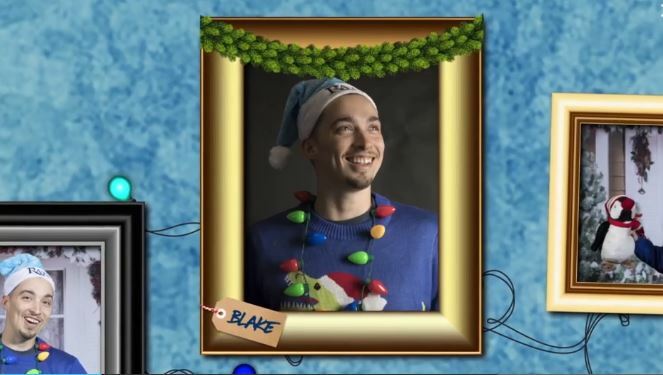 The Tampa Bay Rays dialed down the highlights by just sharing some photos of players up on the wall of a poorly animated home and tossing some garland around. 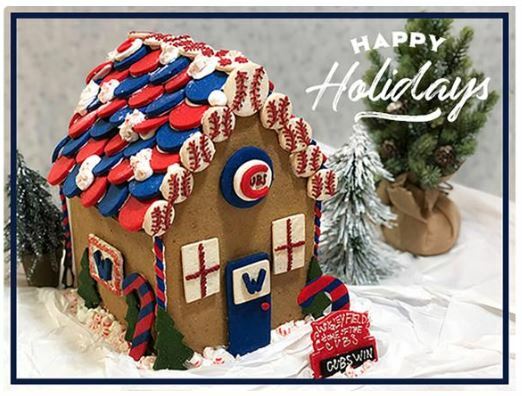 This is from the Chicago Cubs. 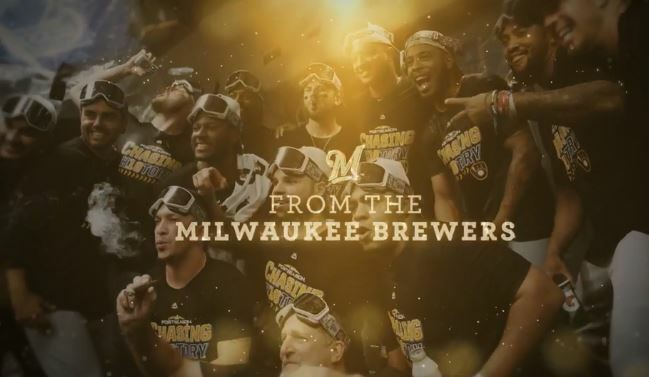 The best the Milwaukee Brewers could do was come up with a bunch of highlights of their players celebrating their wins by swigging champagne and smoking cigars. They also ruined the Orioles Jonathan Schoop in their ill-conceived deadline trade – and then, not having a plan for how to use him, just sat him on the bench and expected him to hit a home run every once in awhile on demand. Your video gets an F and so do you. The Chicago White Sox video was delightful – “A Tim Anderson Holiday” where he and his family put on a holiday party for the local Boys & Girls Club. Santa stops by to decorate the California Angels stadium. Santa seems a little thin, in a “Let’s get the intern to do it” sort of way. Oh no! 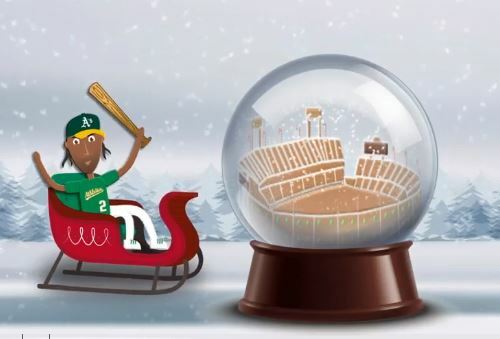 Is he about to smash the snow globe with his bat?? The Cleveland Indians did fine … a lot of colored holiday lights and a shout out to the 2019 All Star Game. The Kansas City Royals interact with fans and the Baltimore Orioles have no idea what to do, so they just show a tree being decorated by orioles at Camden Yards. Be honest, Santa, we’re not getting anything this year, are we? The Saint Louis Cardinals admit that their players are the team’s reindeer. There’s a really long rant in me here about treating players like chattel. Maybe you can hear me stamp my foot as I write this. 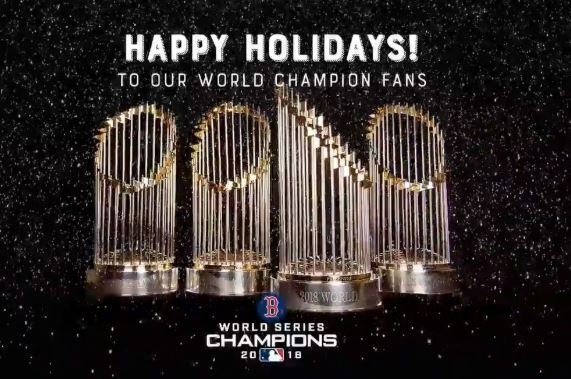 Dear World Champion Boston Red Sox, thanks for the generic highlight reel. It’s nothing special, includes precious little of AL MVP Mookie Betts, and I’m only mentioning it because Steve Pearce is included, and I love Steve Pearce. But, seriously, dudes, you could have done better. 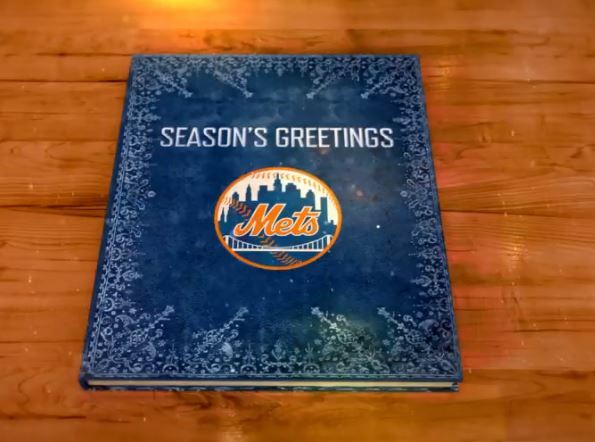 The New York Mets did a nice video thing … a scrap book of lovely animations. But, that’s not what makes it special. THIS is what makes it special. Look where the Washington Nationals greeting card link takes you! As of 12:30 p.m. on Christmas Eve, they still hadn’t fixed their screw-up. I’m sure it’s just a simple mistake. But, be honest, didn’t you just think, “Well, that sort of sums up Washington, DC these days.”? You did, didn’t you? Two teams did take-offs on the movie Home Alone … and both were brilliant. The Atlanta Braves gave former Oriole Kevin Gausman the starring role. 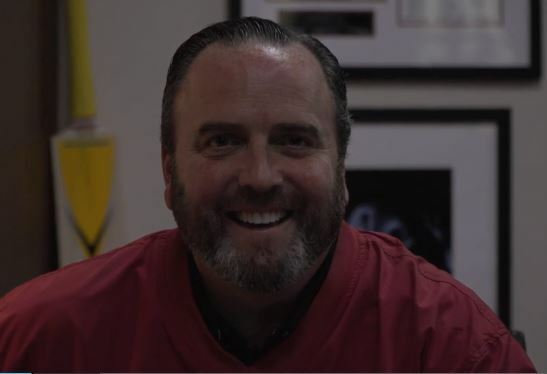 And, the Arizona Diamondbacks made team President Derrick Hall the star. 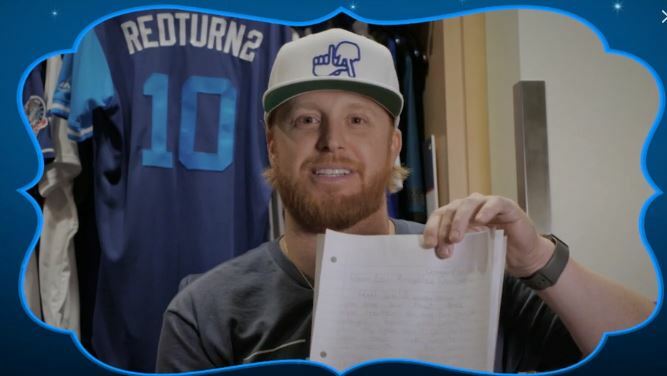 … If you watch just one, watch this from the Los Angeles Dodgers, who, led by Justin Turner, read some of the letters a local elementary school sent the Dodgers after their World Series loss. It is heartwarming and sweet. It is perfect. December 28 Update! Dear Nationals Fans … The Nats still haven’t fixed their website, but I did some snooping around and you haven’t been forgotten after all! Look! This entry was posted in Baseball and tagged LA Dodgers, MLB Holiday, Season's Greetings, Team Cards by Jackie, The Baseball Bloggess. Bookmark the permalink. Fifty days until Spring Training! Merry Christmas Jackie and thanks for a few laughs. Merry Christmas! 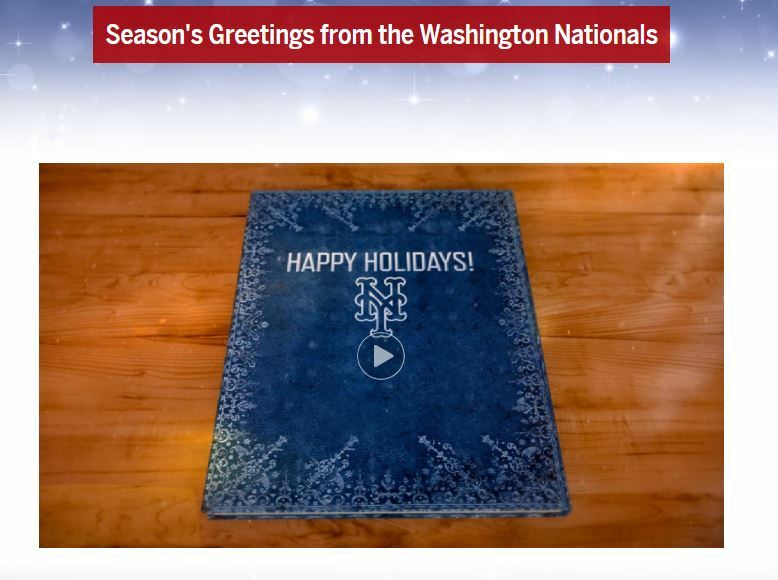 And how about those Nats … bogarting your Mets’ holiday card? I love it! Some people know how to have the holiday spirit and some don’t. You certainly fo! 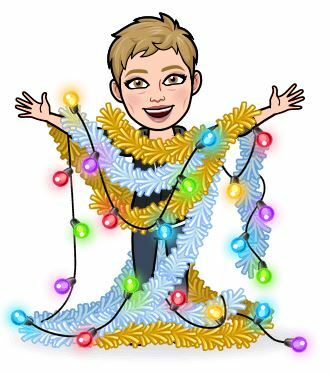 Merry Christmas to all in your house! You inspired me to watch all of them as well, and oh man… the lame-o-meter was breaking on So. Many. Of. These. 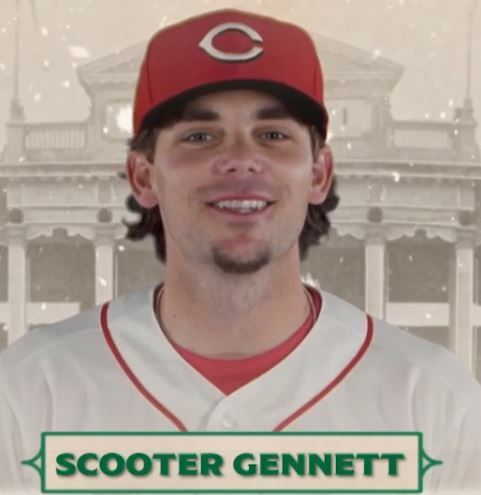 But I agree with your assessment: the Braves and Diamondbacks had me chuckling with their ‘Home Alone’ themed vids, and the Dodgers totally won Christmas. :) Happy Holidays, Jackie! There should be a special award for us … willing to watch 30 (well, actually 29, because the Nationals still — as of 12/27 — haven’t fixed their Mets greeting) greetings from every team. It started to feel like an 18-inning game! 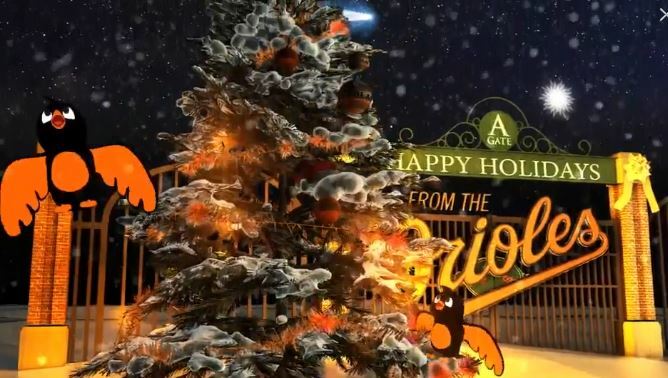 Happy Holidays, to you, too … Precious and I hope 2019 is a better year for the Orioles … and the Royals, too! Dead to you?? The Brewers haven’t won big often, so I get why they’re rehashing the having good reason to celebrate aspect of the season. But that’s not a vote of support for their terrible content here (that’s what your ringer says about it, terrible content!!) BUT they crushed it with their The Sandlot send up—have you seen that? Perfection. I will come back around on the Brewers … how can a team that has racing sausages be dead to me forever? (They can’t.) I think that Brewers fans are mad about how Schoop didn’t help the team, and I’m mad about how the team didn’t help Schoop. 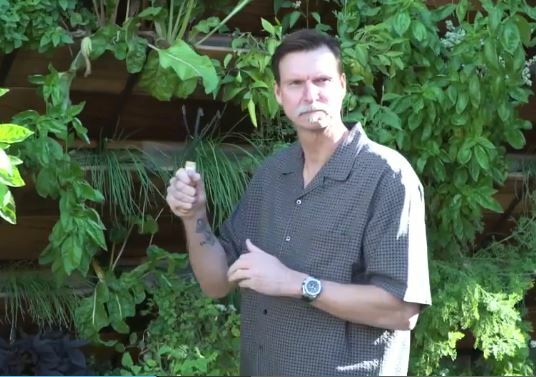 The booze and cigars thing, though, they could have tried a little harder. Although, far from the worst. I mean, here it is January 6, and the Nationals’ greeting still directs to the Mets’. At least the Brewers link goes to the Brewers. There is that.